NEWLY PUBLISHED: 2015 HEALTH CARE SERVICES M&A MARKET SEES GROWTH IN DEAL VOLUME AND VALUE OF TRANSACTIONS, ACCORDING TO IRVING LEVIN ASSOCIATES, INC.
NORWALK, CT – April 11, 2016 – Merger and acquisition activity in the health care industry’s services sectors increased in 2015, both in deal volume and the dollar value of transactions, according to the 2016 Health Care Services Acquisition Report, Twenty-Second Edition. Deal volume for the health care services sectors rose 22%, to 936 transactions versus 765 in 2014. The dollar value of those deals grew 183%, to $175 billion, compared with $62 billion in 2014. The 2016 Health Care Services Acquisition Report, Twenty-Second Edition, contains more than 350 pages of hard-to-find information on all publicly announced hospital, managed care, laboratory services, physician medical group, behavioral health, home health and hospice, and rehabilitation mergers and acquisitions in 2015. The Long-Term Care sector is treated separately in The Senior Care Acquisition Report, Twenty-First Edition. 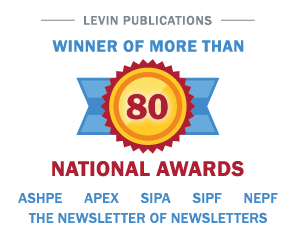 Irving Levin Associates is a Norwalk, Connecticut-based research and publishing firm specializing in health care investments. The Health Care Services Acquisition Report may be purchased for $595 by calling 800-248-1668.